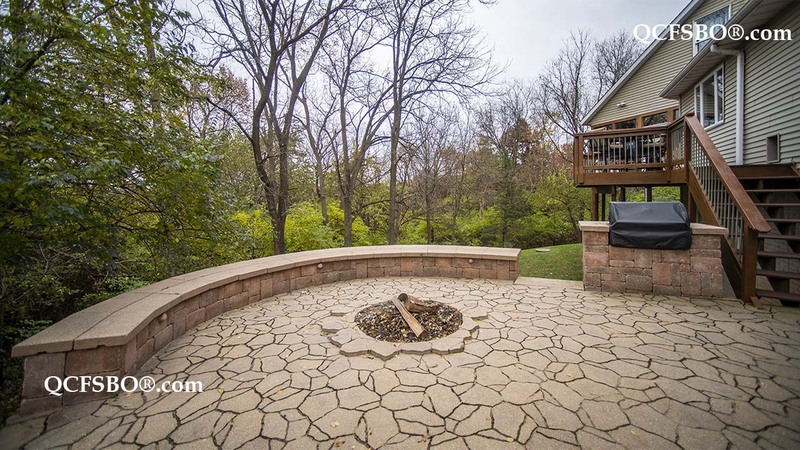 T his unique 1 acre wooded lot located on Forest Grove Road near Bettendorf and in Pleasant Valley school district has some very cool features listed including: being nestled on a one-acre wooded lot surrounded by nature, the front of this two-story home features an extra-large wrap around front porch. 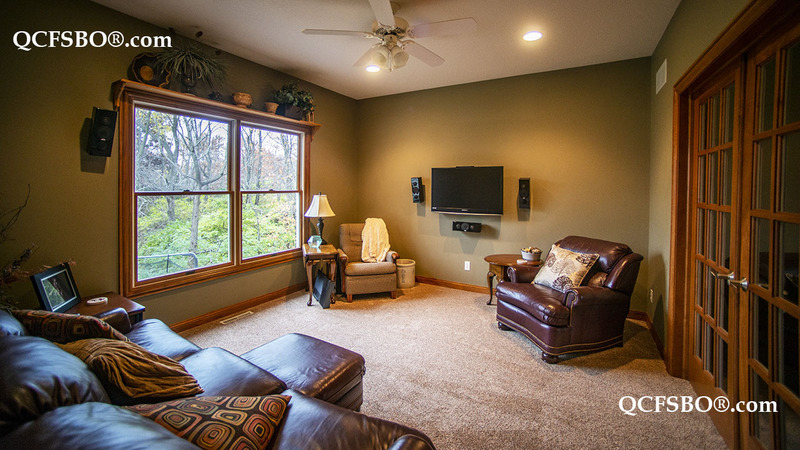 The home is located ~10 minutes from Bettendorf and Davenport shopping areas. 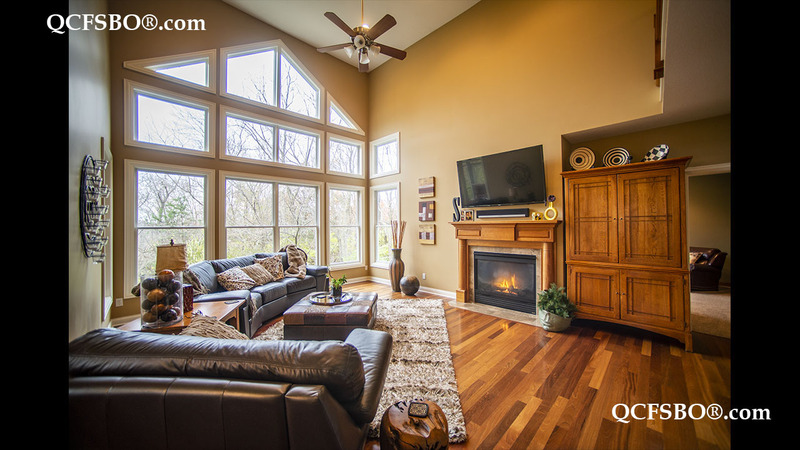 Relax and enjoy a good book, your favorite movie or television show in this warm and inviting cozy Den. 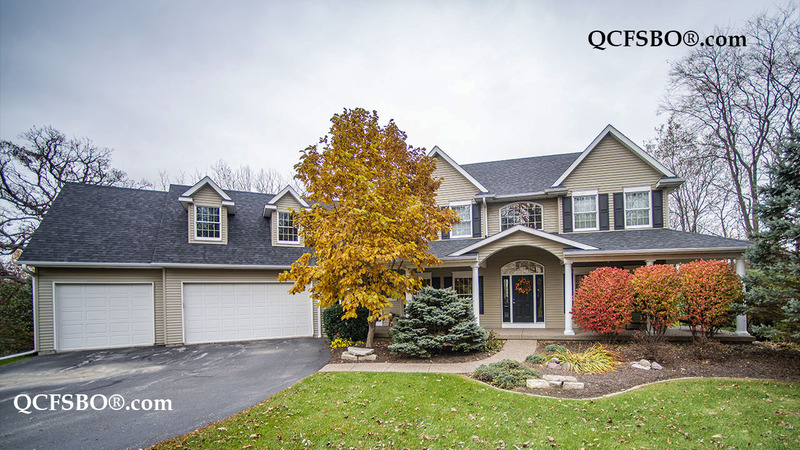 Located in the center of the home as a Great Room that offers two story high ceilings, a gas fireplace, Brazilian Cherry Floors and a wall of windows that overlooks the one-acre wooded lot. 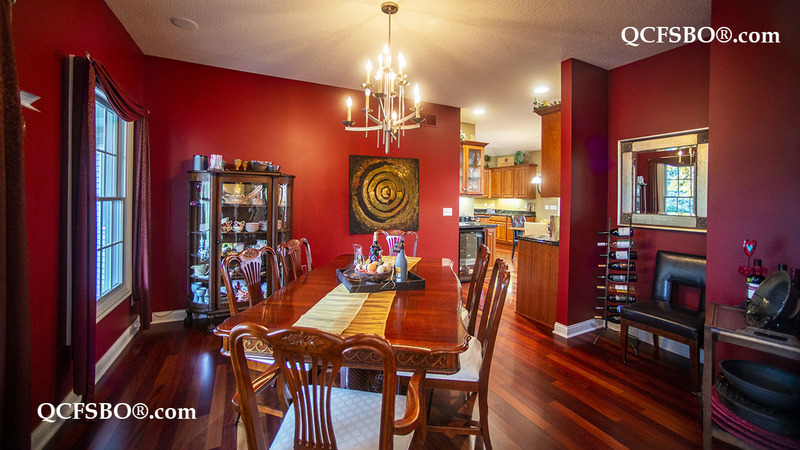 The Dining Room is adjacent to the kitchen and features a butler’s pantry and wine refrigerator. 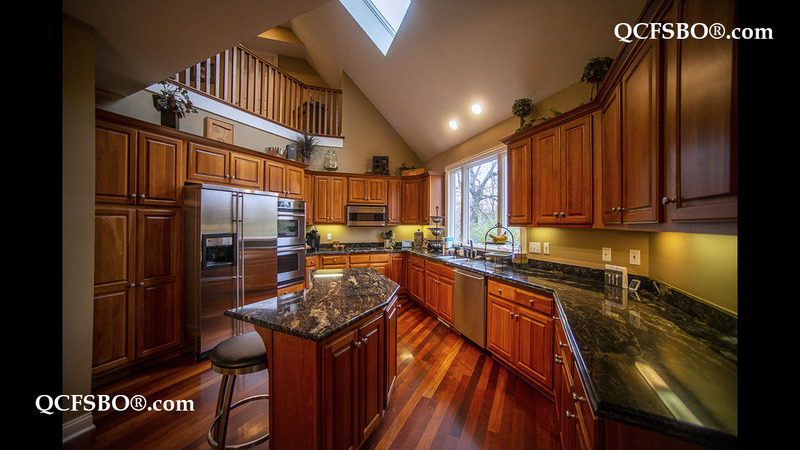 An angled kitchen features tons of Cherry cabinets, black granite countertops, and an island with seating. 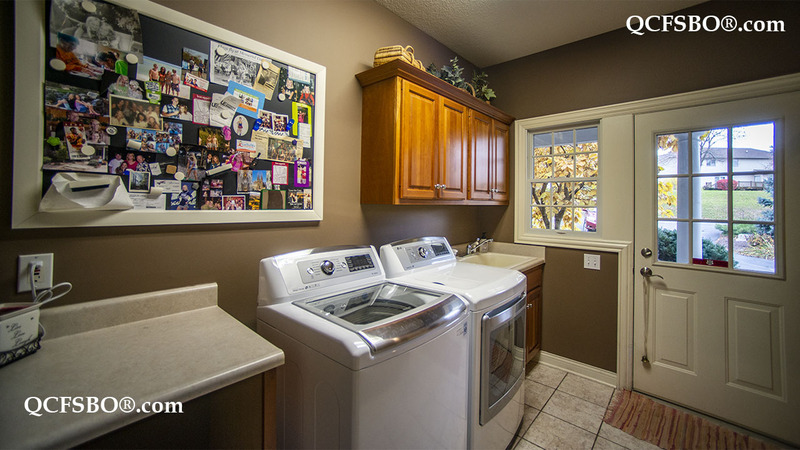 All built in appliances are included in the asking price of the home. Off the finished three car garage, the laundry room has built in cabinetry and a utility sink as well as a second entrance to the home. 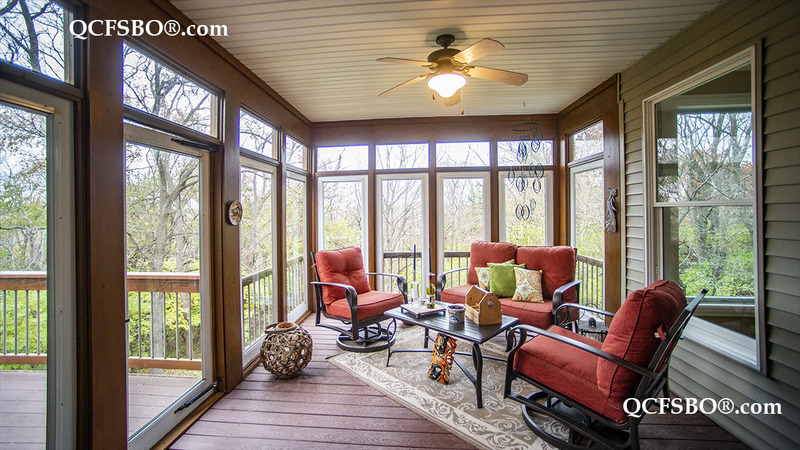 Located off the kitchen, the 3 Season Room overlooks the wooded backyard, and provides access to the elevated deck and stone patio with fire pit, bench seating and a built in grill. 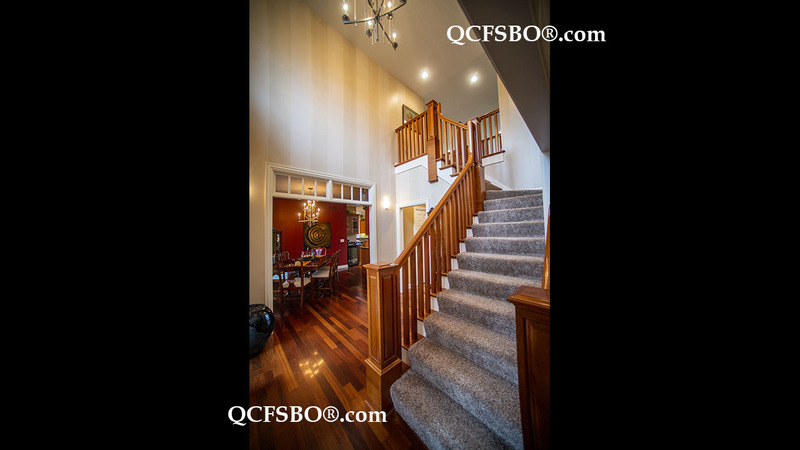 The two-story foyer features an open staircase and Brazilian cherry floors. 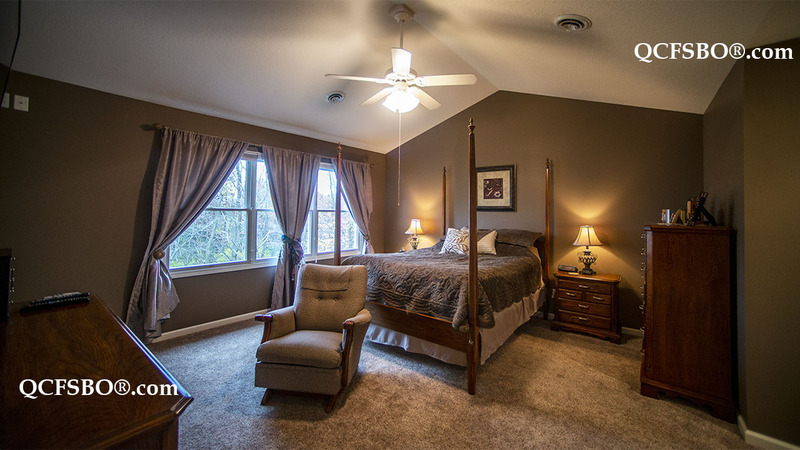 The Master Bedroom has vaulted ceilings, new carpet, and his and hers closets. 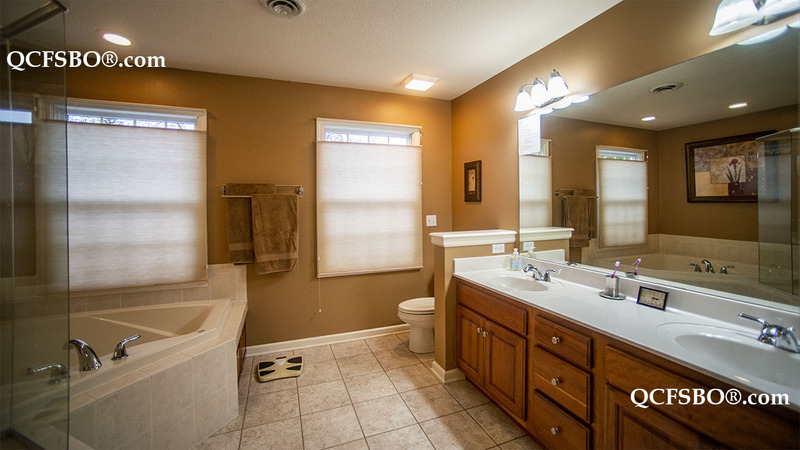 The Master Bathroom features a large walk in shower and whirlpool bath. 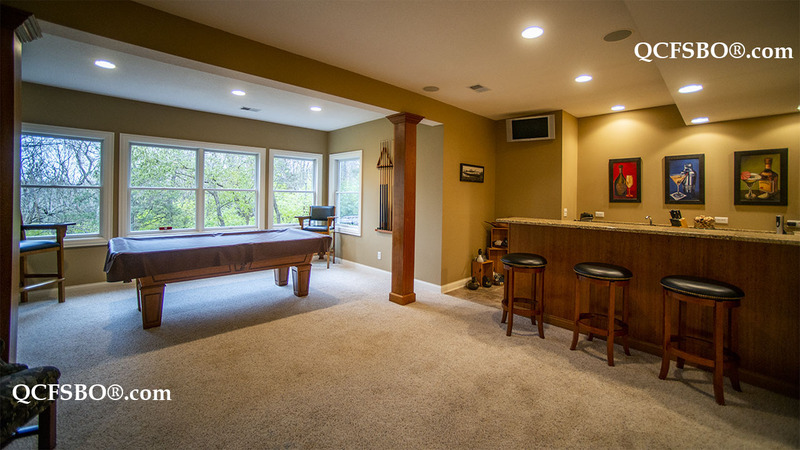 The finished basement is perfect for guests or entertaining featuring 2 walk outs, a full bar with granite countertops, mini frig, dishwasher, and microwave. It also has a guest suite with a full bathroom. 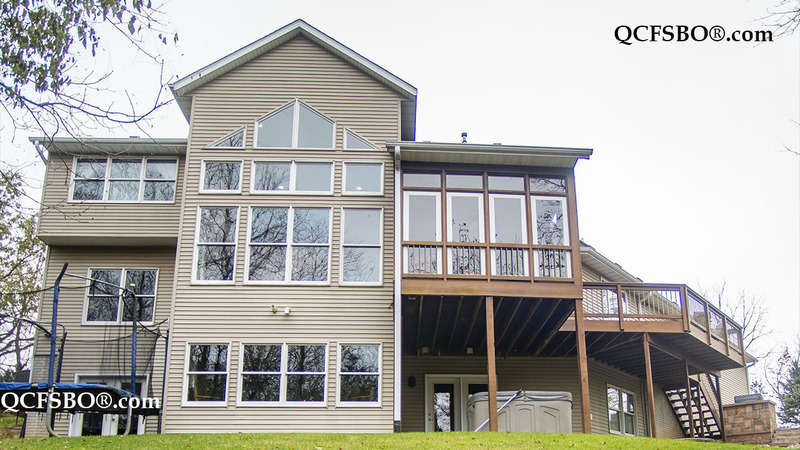 You will fall in love with this custom built home, the wooded lot and location. Lot Size 42,689 Sq. Ft.